RE/MAX Productivity — another new report! I am humbled by being part of such a great organization. Ultimately, the RE/MAX business model attracts only real estate professionals who are committed to this industry as their “day job,” and that’s important. Home sellers and buyers shouldn’t have to wonder whether their agent is truly focused on the largest financial transaction most will ever be involved in. And they should be able to assume that their agent writes, negotiates, and closes enough transactions to be, not just proficient, but expert in the profession. 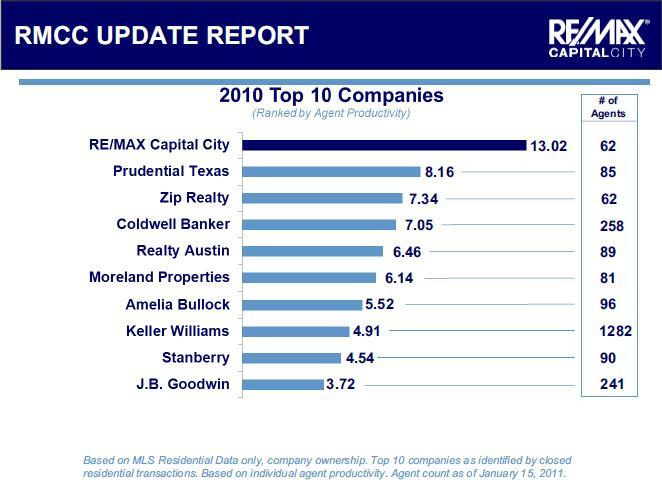 I am proud to be part of the RE/MAX family, and I can’t imagine being anywhere else.